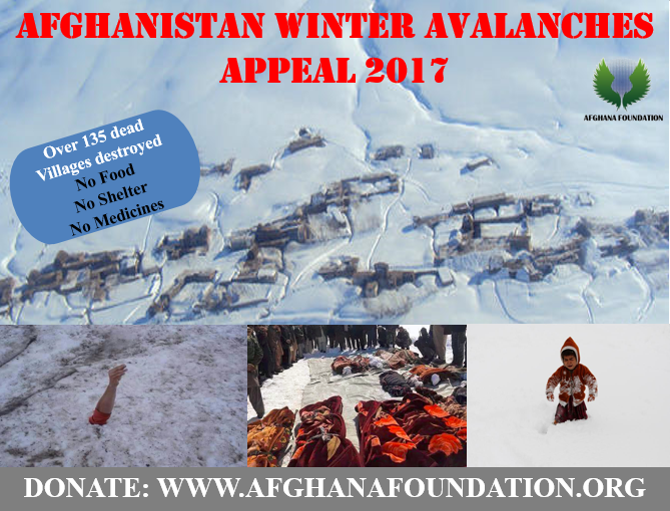 Hotak Healthcare has partnered up with Afghana Foundation to help victims of recent avalanches caused by a heavy winter snowfall across Afghanistan, which has killed over 135 people, injured hundreds of others and have destroyed over 300 homes, schools, mosques and hospitals affecting thousands of people. The worst hit region is the mountainous and remote province of Nuristan where many villages have been buried under the snow. The most affected are children, elderly and women according to provincial Governor Hafiz Abdul Qayum. Entire villages have been cut off by heavy snow. The lack of support from a weak central government means there is an urgent need for emergency food packages, shelter, medicines and machinery to open roads. We need urgent help to reach the vulnerable children, women and elderly to provide emergency aid in the form of food, shelter, medicines and blankets. Our leadership have already formed a committee to assess the damage in Nuristan, form volunteer teams and coordinate a global fundraising campaign to help those affected. The efforts in Afghanistan are led by H.E. Haroon Rashid Sherzad, former acting minister of counter-narcotics and Mr Zia Ur Rehman Zia, country director BACCI. 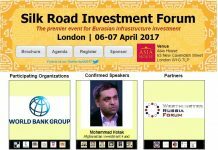 While the European efforts will be led by Dr Mohammad Hotak and North America by Miss Maryam Atmar, CEO MAIH Group. Families have been devastated and children left orphaned in one of the deadliest winters that the region has ever seen.